Mothers were awake an average of 49 minutes per night after they fell asleep for the night. Among the 23 mothers, 57% napped, and of those who napped, they did so 2.3 times per week on average. Over 60% of this group reported clinically significant symptoms of fatigue during the day. Napping frequency was not different between mothers who stayed home vs. those that worked full- or part-time. Note: mothers on sleep aids or with more than one child were excluded from this study. Mother-Child Interactions were measured using the NCAST (Nursing Child Assessment Satellite Training) Teaching Scale. Mother-infant pairs were observed for communication and interaction skills based on this teaching scale, which includes assessment of sensitivity to infant cues, responses to infant’s distress, and cognitive growth fostering. More frequent maternal naps were associated with “greater engagement in cognitive growth and fostering behaviors with their infant,” better scores on NCAST subscales “cognitive growth fostering” and higher overall scores on the NCAST tool compared to mothers who didn’t nap. What does this mean? Mothers who took more frequent naps had more quality interactions with their infants than those who did not take any naps. So, what does this mean for new parents? Even a few naps per week when you are significantly fatigued can be help promote more positive interactions with your baby! The authors also suggest that scheduling weekend naps may be useful for mothers that cannot nap during the week. Over the last few weeks, we’ve received several comments in response to our post “Why do some babies hatebeing drowsy?” from parents who have noticed that their babies seem to resist falling asleep or wake easily right after drifting off. Today, we’d like to address 2 of these comments. Reader #1: My problem with my 2 month old is she not only fights off sleep, she will wake herself up by forcing her head up and going from side to side or making her body jump, even if she has completely fallen asleep. This baby seems very active! When she is moving that much while sleeping she is most likely in active sleep. At 2 months old, she is still goes into active sleep first, which means that immediately after drifting off she starts dreaming. When babies are dreaming, they may move around a lot. It is normal for them to twitch and move their bodies and they may even make sounds or sucking noises. Although this may seem strange, dreaming is an important part of brain growth and development. Because their brains are so active while dreaming, they can also wake easily while in active sleep. All babies (and adults) cycle through active sleep, quiet sleep, and waking throughout the night. Therefore, she may wake again when another round of active sleep comes around. If the baby is uncomfortable for any reason she might wake up during this light sleep. So, what can you do? First, if she falls asleep in your arms, wait until you see signs of deep sleep before putting her down. When in deep sleep, she will be less sensitive to the position change and may stay asleep longer. Second, keep her as comfortable as possible! Make sure she is dressed appropriately (temperature and comfort level), has a clean diaper, and that anything else that might make her uncomfortable is taken care of. 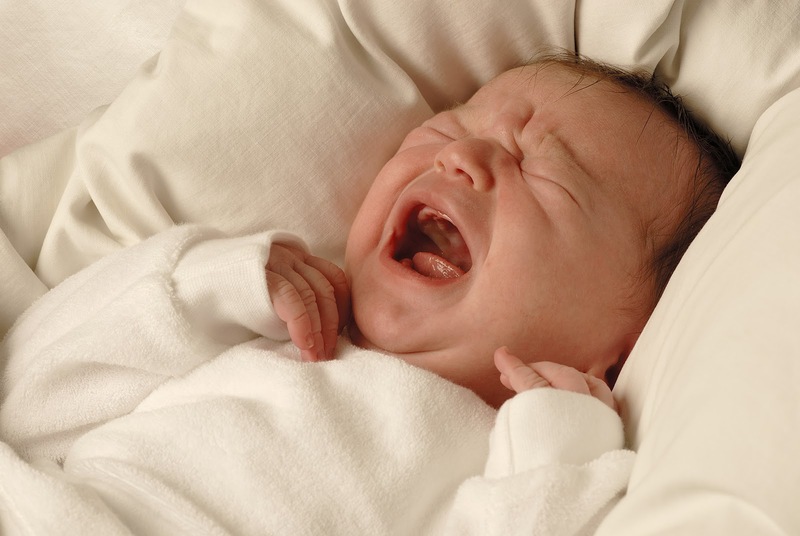 Remember, 2-month olds only sleep for about 2-4 hours at a time, so it is normal for them to wake during the night. With such an active baby it’s also important to keep her sleep environment safe. With so much movement she could move herself right off of a bed or couch. Follow the AAP safe sleep recommendations here. Reader #2: Please give me some help. My 14 week old son fight his sleep. What can we do, I am too tired. Somebody help. Thanks. Waking up with young babies is hard. Adults are used to sleeping for long stretches and it can be frustrating that babies don’t sleep that way. Having a baby who gets irritable when drowsy can make waking even more difficult because it may be harder to get the baby back to sleep during the night. Like we explained in the original post, some babies have a hard time winding down after they’ve spent time interacting with the people around them. At 14 weeks, the reader’s baby is learning so much and it may take longer for his brain to transition from playing and learning to resting. The tips we listed in the original post can help. When this baby is getting tired, the parents can help him transition to sleep easier by minimizing stimulation (turning off the TV, keeping the noise to a minimum, etc), making sure he is comfortable (clean diaper, dressed comfortably, etc), and following a bedtime routine. Doing 3 or 4 things the same order every time the baby is going to sleep can help his brain calm down enough to sleep. We also suggest that this reader ask for help from friends or family. Caring for a young baby is not easy and her comment shows how tired she is. Whenever you are feeling overwhelmed, ask for help! Asking someone to come over just few an hour or two so you can rest can make a big difference. I sometimes have trouble being able to tell when they're hungry, sleepy or sleepy and hungry at the same time. I haven't mastered naps with them, and sometimes they fall asleep nursing. Also, some cues like sticking their hands in their mouths can’t be used as much now since they do that so much at this stage. What are common clustered hunger cues? Confusion about hunger and fullness cues is very common. After all, babies do not come with instruction manuals. We hope this short post will help this reader and others who are learning to read their babies’ cues! What are common clustered hunger cues? A hungry baby will give several cues together to let caregivers know that they are hungry. Here is a list of common hunger cues. The reader’s babies are about 5 months old. At this age, babies are very efficient at eating and may feed for a very short period of time before they are full. Although this is great news for busy parents, it can cause concern for parents who don’t know and think their babies should still spend the same amount of time eating. Is my baby tired or hungry or both? 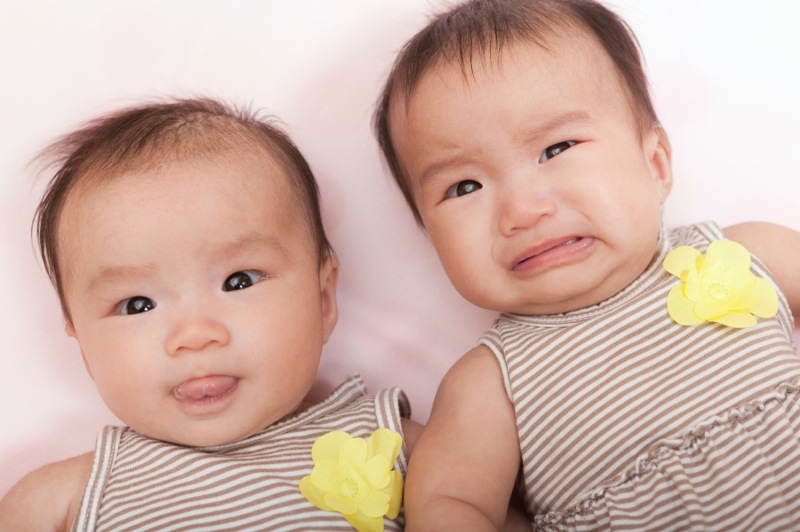 When babies start looking tired, the will start to show disengagement cues. If this happens during a feeding, it usually means the baby is getting full. Just as a reminder, here is a list of fullness cues and disengagement cues. We talked about this topic in a past post. Click here to read all about it! From all of us to all of you: Happy New Year! 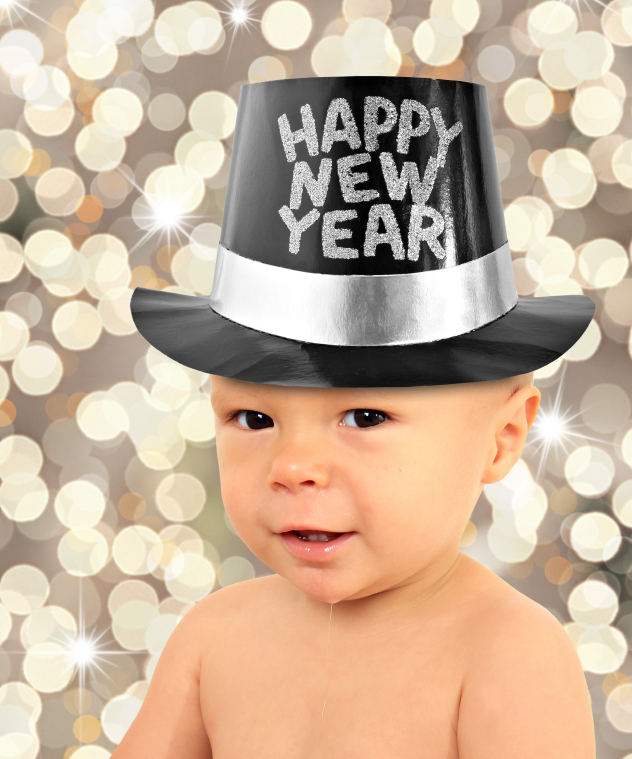 We hope that 2013 brings you all peace, happiness, and many hours of well-earned sleep.